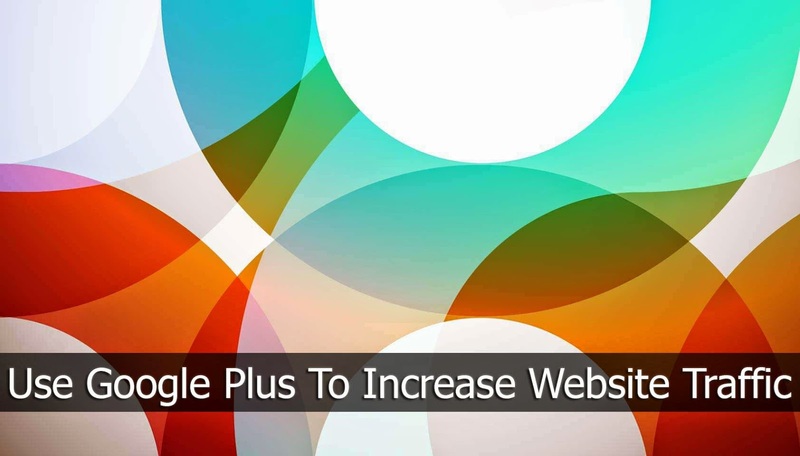 How To Use Google Plus To Increase Website Traffic? Many of you might have noticed a declining percentage of visitors sent from Facebook to your website everyday. This is because Facebook Pages are losing their reach, and can not account for as much of web traffic as they used to. Not surprisingly, Google+ seems to be catching on, and for Pages that utilize Google+ to maximum effect, the amount of traffic sent to their home website seems to be growing significantly. More than 500 million people interact with Google products on a monthly basis. Unlike Facebook, Google offers marketers the opportunity to interact with visitors through many touch points, including YouTube, Search, and Google+. This means that for visitors who engage with you through Google+, the potential traffic channels multiply. But for you to see a significant increase in traffic via Google+, you need an actively engaged audience. Here are some tips for improving your Google+ engagement. Adding the right headline can help your post stand out in search results, and can greatly influence the number of people who both notice and click through to your content. Use a headline, every time. Easily break up your long blocks of text with formatting to make your posts simpler to read and skim. This allows you to communicate more clearly and makes your text more accessible. In addition to adding bold to your headline, copy and paste the formatting cheats below to help compose a post that stands out from the rest. Google+ is a both a visual and a text medium, so make them both count! Don't be afraid of writing longer posts. Instead of simply posting a link to your latest blog posts and hoping for the best, add a summary of your important points. Explain why this is important. Give people additional context as to why they should click and share. The few minutes it takes to jot down your thoughts could result in multiple reshares and thousands of additional eyeballs on your content. The vast majority of top posts on Google+ use images. Animated GIFs are very popular. For increased share-ability, it's usually best to upload your own photo. By default, Google+ tries to include an image for any URL that you share. Unless you define the right Open Graph images and the proper social meta tags, the images are often not ideal, or are sized wrong. When you upload your own image, the image links to the full-size version, not the URL you want to share. In this case, don't forget to include a link to the URL in the text. Twitter and Facebook have made us accustomed to hashtags, but Google+ uses them in entirely different ways to organize and recommend content. Google uses hashtags and semantic analysis to form relationships between topics. By default, Google often adds hashtags automatically to any post with sufficient text. Best practice is to add your own relevant hashtags at the end or within the body of each post. Much like Facebook's popular commenting plugin, you can embed Google+ comments on your own blog. What makes this so powerful is when visitors leave a comment, they are given the option of sharing your post to their own Google+ followers. This can greatly increase engagement among these users and their followers. Officially, Google+ comments are only supported for Google's own Blogger platform. Fortunately, clever folks have devised a number of plugins and solutions for Wordpress, Drupal, and more. Google+ isn't so much a social media platform like Twitter and Facebook, but an identity platform that works with Google to connect across all our different devices and web services. This means that while sites like Facebook and Twitter can still deliver traffic to your website, Google+ is so integrated across so many platforms that it has many more places to touch potential visitors. Business that build up their audience base today potentially position themselves to collect bigger rewards in the future. Do you receive traffic from Google+? Is it a part of your social strategy? Let us know in the comments section below.